Add Fluid Capacity and Keep Debris Out! Metal particles, dirt and other debris can shorten the life of your heavy-duty automatic transmission. 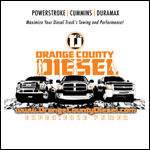 The BD Power 1064017 Inline Transmission Filter Kit 1994-2007 Dodge 5.9L Cummins w/47RH, 47HE and 48RE Transmissions adds fluid capacity, keeps your oil clean, and comes with all necessary hoses, fittings and hardware. It utilizes an off-the-shelf bypass oil filter for low cost and easy service. 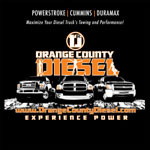 OC DIESEL offers Professional BD Power BD-1064017 Installation.